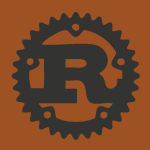 I have received numerous requests to cover the Rust programming language because there is very little information on it and really no books. So, in this tutorial I’ll provide an introduction to the Rust programming language. We’ll be covering Primitives, Output, Math Functions, Conditionals, Looping, Strings, Input, Arrays, Vectors, Tuples, Functions, Closures, Pointers, Structs, Traits, Enums and a whole lot more. All of the code and a transcript of the video follows below. If you like videos like this, consider supporting me with a $1 on Patreon.